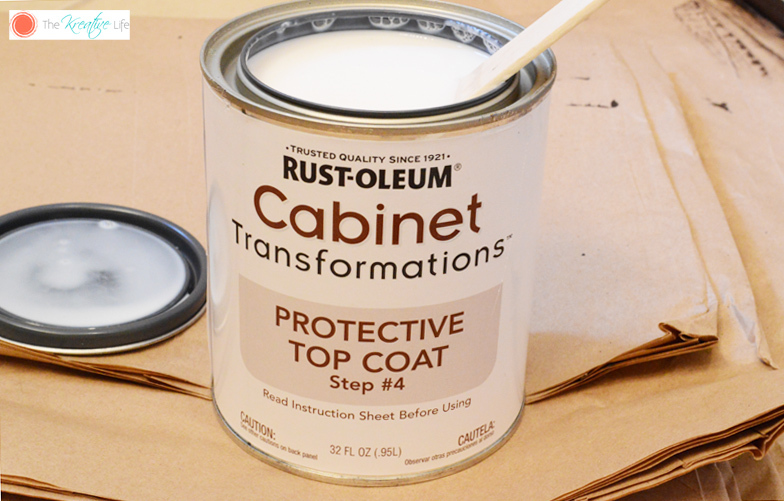 This is a sponsored post written by me on behalf of Rust-Oleum. I received compensation for this post, however all statements and opinions are 100% my own. We moved into our home almost two years ago and I haven’t done too many big diy projects since then. I have a whole list of things I want to do, but I just didn’t know where I wanted to start. I want to paint my walls, add crown molding, frame my bathroom mirrors, and make floating shelves. One thing that I have been really putting off that was at the top of my list was redoing my bathroom cabinets. There’s really nothing wrong with them functionally, but I really dislike the color. I’m all about neutral colors, but for some reason the red undertones on my brown cabinets irked my nerves. 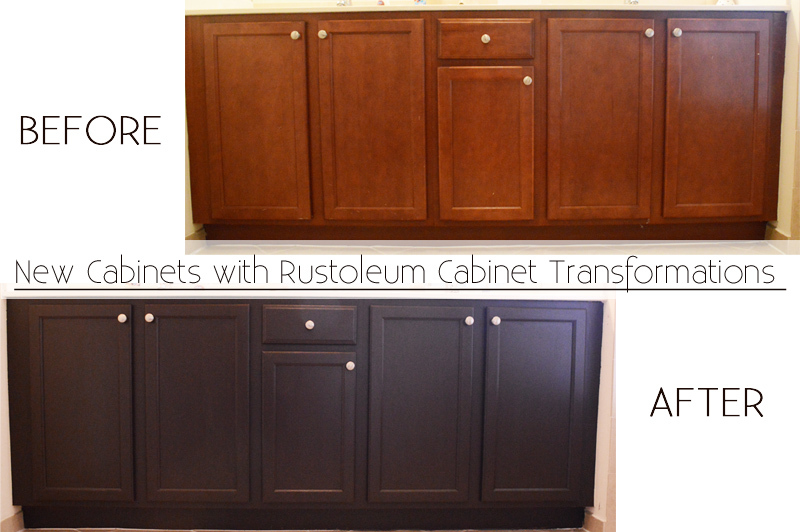 An easy fix for me was to turn to the Rust-Oleum Cabinet Transformations Kit to get the exact color I wanted. 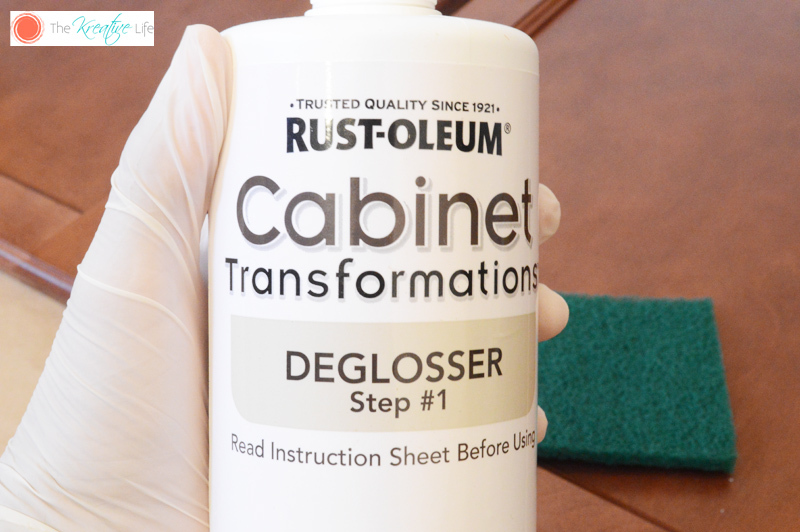 I checked for Rust-Oleum Cabinet Transformations reviews online to see how simple the process would be and for all of the color options available. I wanted a color more dramatic than the one I had, so I chose the espresso kit. I thought using the kit would prove to be difficult and there’d be a million steps just to get the cabinets finished, but I was completely wrong. The step-by-step directions made it super easy and all of the containers were labeled with the number step it was supposed to be applied. 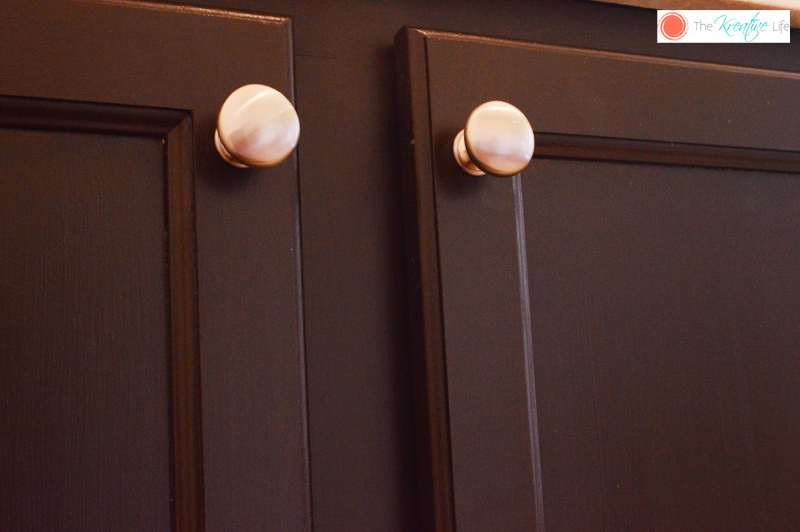 Here’s how I got the look of my gorgeous bathroom cabinets. Gather the supplies listed on the box. I always wore gloves, a face mask, and had the floor covered no matter what. Surprisingly, the kit didn’t have a strong smell at all. I removed the cabinet doors from the frames. I also removed all hinges and door stoppers. I taped the walls, inside of the cabinets, and floors with painters tape so the chemicals won’t spill over onto them while I’m working. With the pad provided, I wiped the cabinet frames down with the deglosser and then did the same for the back of the cabinet doors. 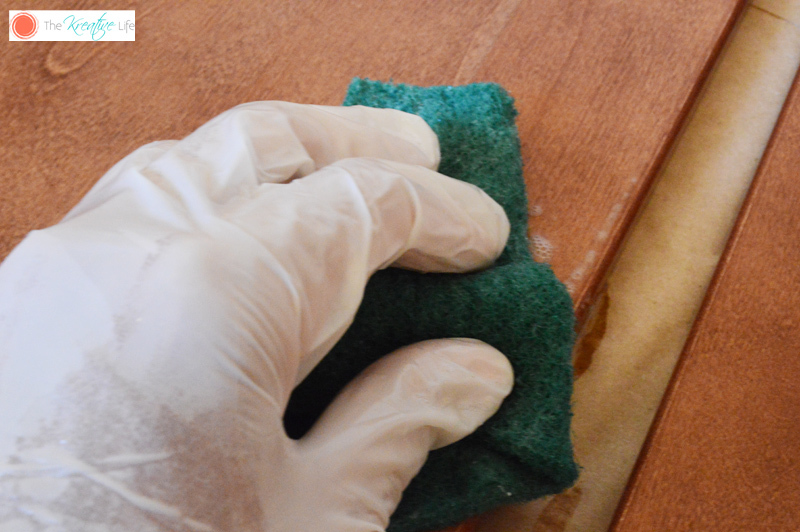 I allowed them to dry and completed the process on the second side of the cabinet door. 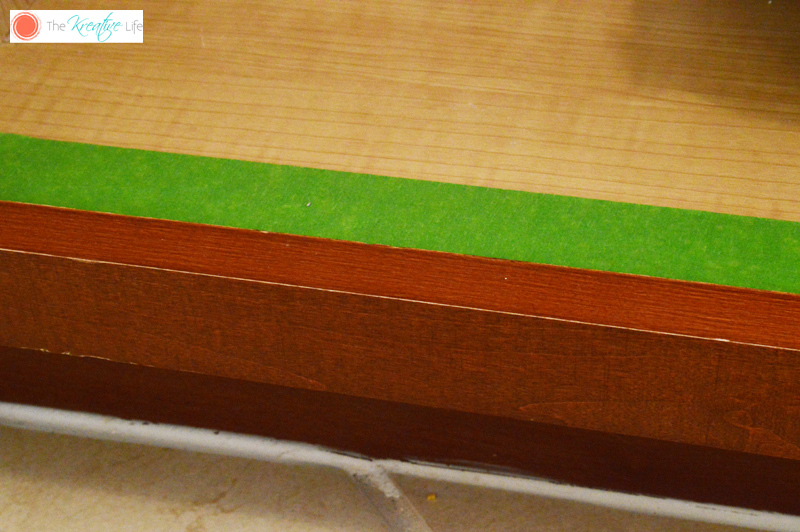 Next, using a paint brush, I applied the bond coat to the cabinet frames and then to the back of the cabinet doors. I allowed them to dry and completed the process on the second side of the cabinet door. I skipped the optional step three of adding the decorative glaze because it would’ve darkened the espresso color and I was happy with the way it was. 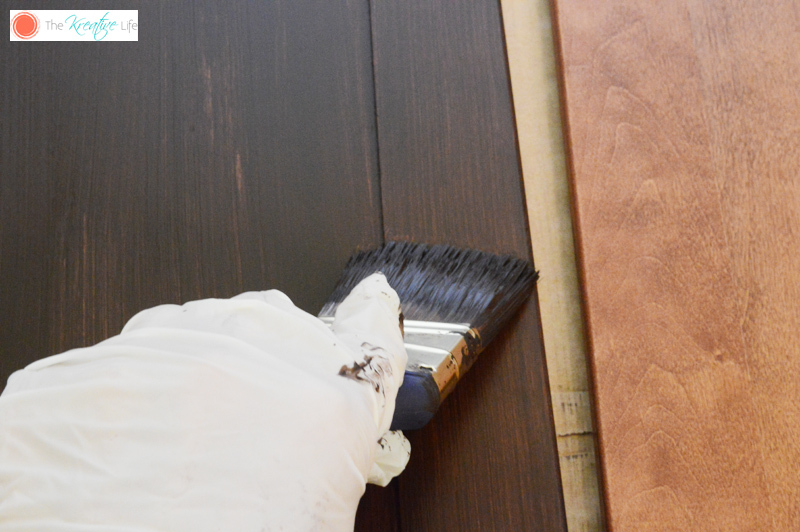 Last, I applied the protective top coat to the the cabinet frames and then to the back of the cabinet doors. I allowed them to dry and completed the process on the second side of the cabinet door. When everything was complete dry, I attached the doors back to the frames. They came out beautifully and it required no sanding, stripping, or priming. 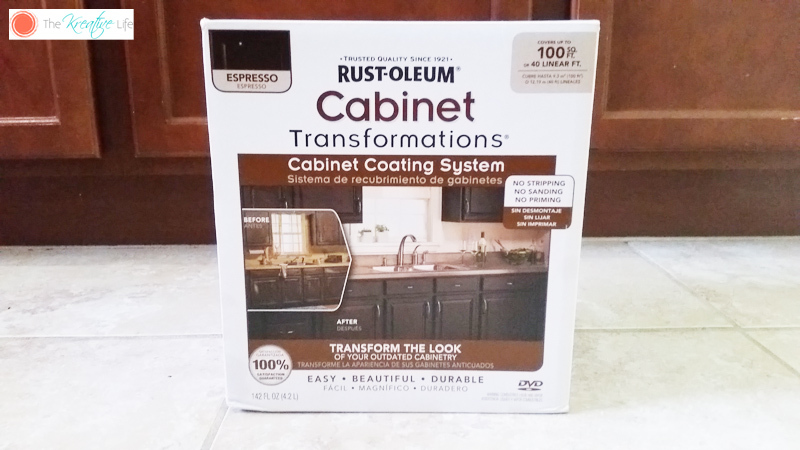 The Rust-Oleum Cabinet Transformations Kit gave my bathroom and whole new look. If you want to see the process in its entirety, check out this video! Beautiful. My cabinets are the color of your original ones and it’s neat to see what mine would look like if I changed them. I’m going to keep this in mind! What an amazing transformation! It looks more classy and neat. We just redid the floors in our home. We updated from tile to wood. It looks amazing except for the kitchen kind of has a monochromatic feel. 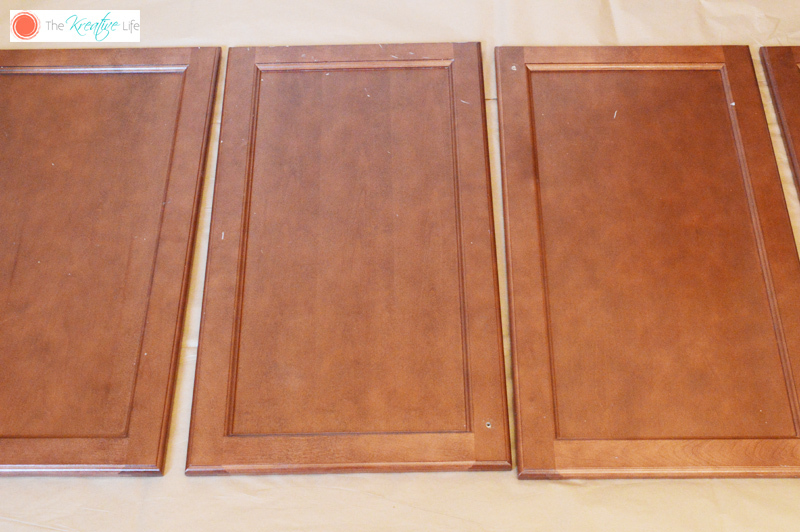 This Rust-Oleum kit would be perfect for adding some more dimension to the kitchen. 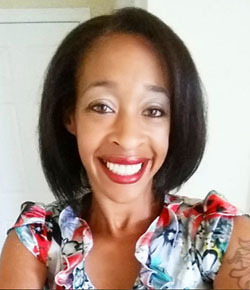 Cindy Ingalls recently posted…Aquis Hair Towel Makes Every Day a Good Hair Day! I love the new shade! Your cupboards look much more modern now. What a difference!! 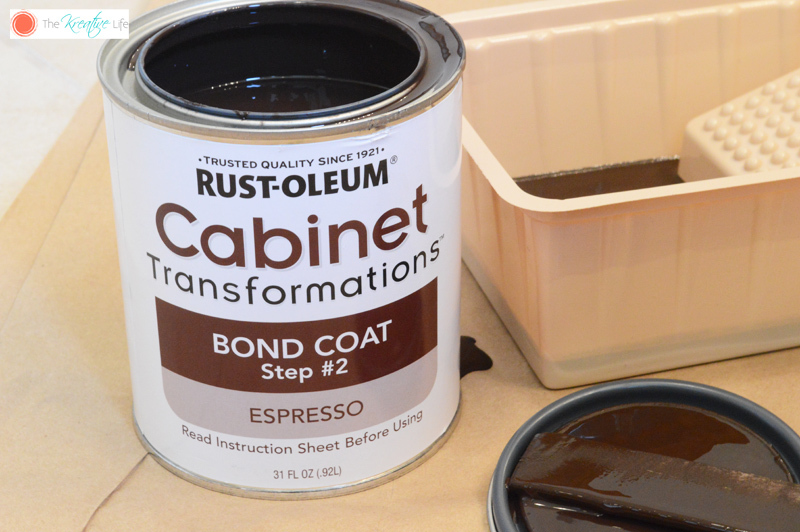 This stuff looks amazing – my SIL has similar cabinets in her house so I’ll have to tell her about this! Looking at your tutorial, it seems that it’s really easy to give your old kitchen cabinets a new look. I really like the outcome! These look great! I love the final result and I can see the difference. Awesome! Would love to do this to at our cabinets. Amazing indeed! Ron@MichiganHomes recently posted…Check out these rare footage of Michigan sports teams from the 1920s, so amazing! I need to go out and buy this right away – my cabinets really need to be redone. I love the transformation, awesome choice of color and it’s so easy to do as well, or at least you make it seem like it! It looks more sophisticated and elegant! 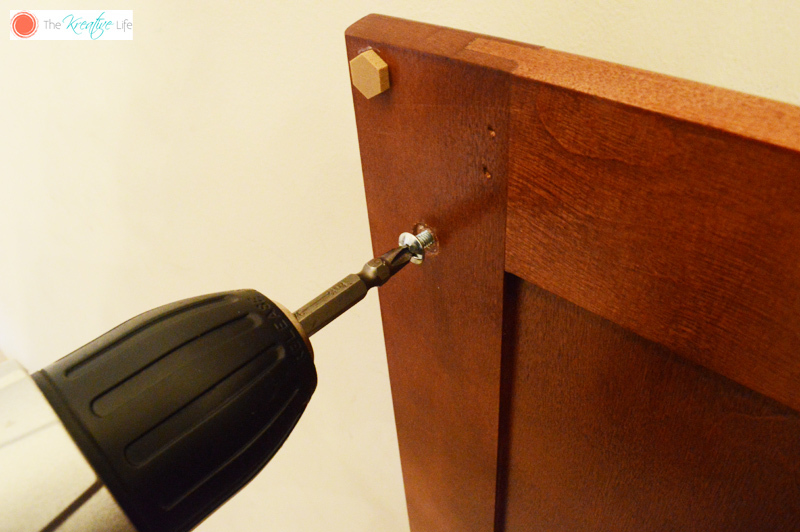 Easy and simple steps and it cam make your cabinet an elegant looking one! Great for having this post! Wow, what a difference! This would make my kitchen look like a whole new room. The finished layer looks really great! This should really make me more confident in doing these instead of usually relying on men to do these jobs. After applying the protective top coat, I noticed after it dried that I had a few spots I missed. Can I reapply a second coat on those spots or should I redo the whole area where I missed? It doesn’t say anything about reapplying a second coat of it but I think I would feel better since it is a well used piece of furniture. Hi, Judy! I just went back and retouched the spots I missed. I didn’t redo the entire area. Do you think this would work on baseboards and trim? Hi, Annie! I don’t see why it wouldn’t work on trim and baseboards because it worked on the cabinet trim. 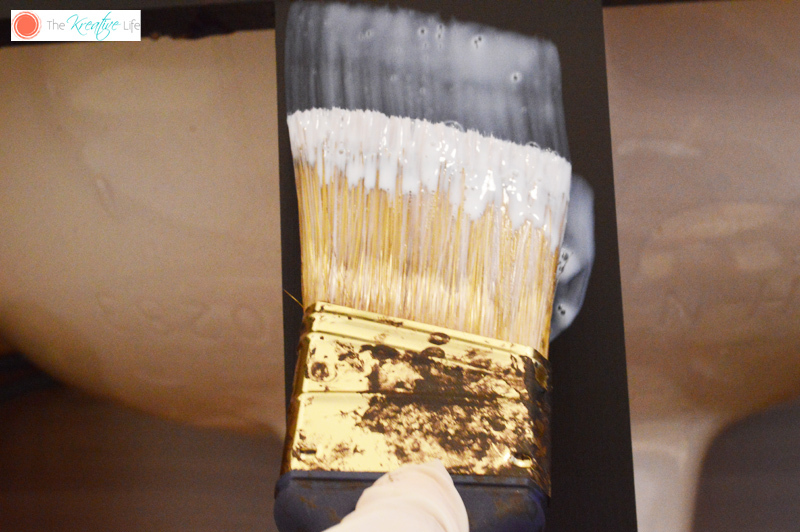 I would suggest to see what your trim is made of and if the coating can be applied to it. You still may want to contact Rust-Oleum to see if they would suggest it or if they have a kit that would work for baseboards and trim.